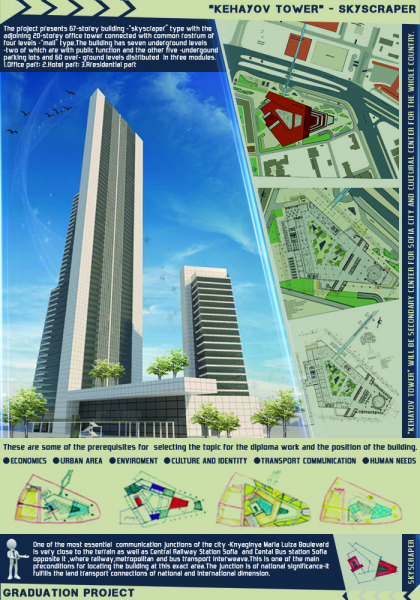 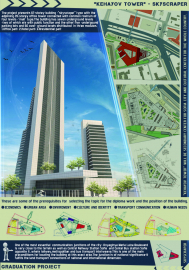 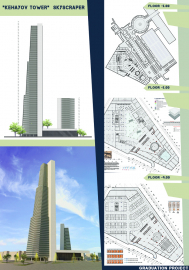 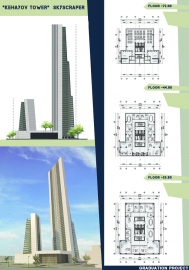 The project presents 67-storey building –“skyscraper” type with the adjoining 20-storey office tower connected with common rostrum of four levels –“mall” type.The building has seven underground levels –two of which are with public function and the other five –undergound parking lots and 60 over- ground levels distributed in three modules. 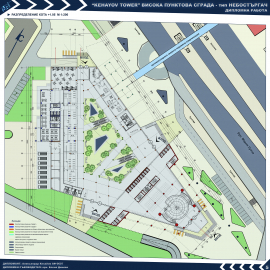 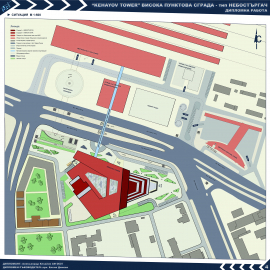 Four entrances to the building are set apart aiming to make people pass through more easily.Two loading platforms will operate the underground parking.Automated overground communication is constructed in order to connect the public rostrum and the skyscraper with Central Railway Station Sofia. 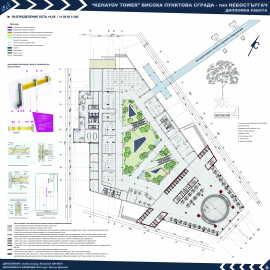 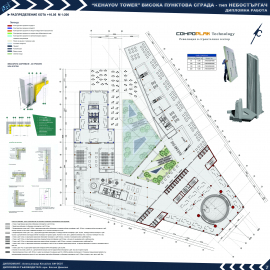 University of Structural Engineering & Architecture "Lyuben Karavelov"